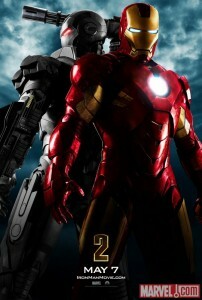 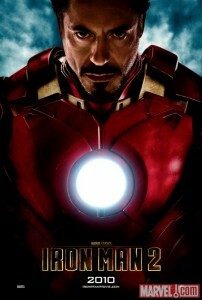 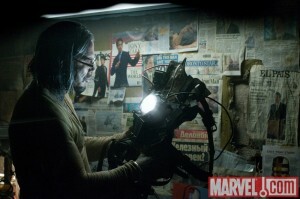 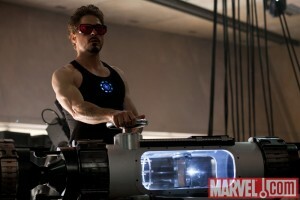 Marvel have released a hand full of images from the new Iron Man 2 movie along with a new international film poster. 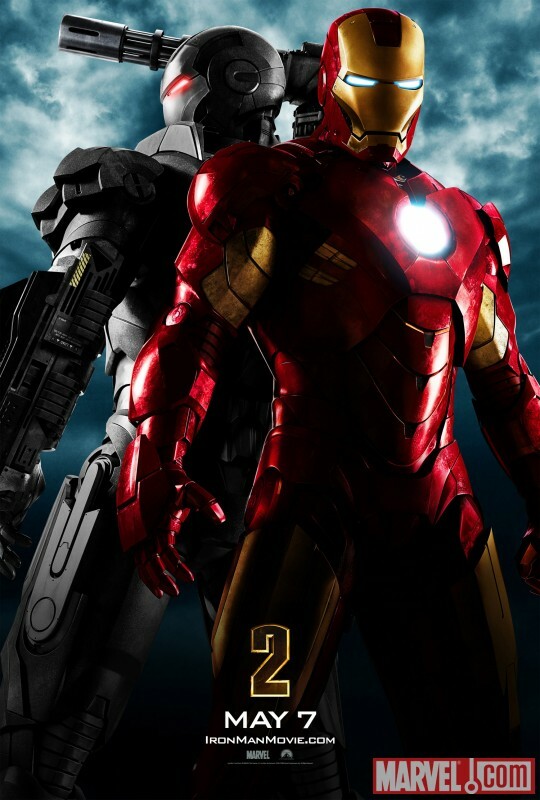 Interestingly the new 2010 Iron-man movie poster is a retake on the original poster with the major difference of removing the helmet to show Tony Stark’s face. The new film has a sub plot of Tony trying to reform his life to fit in as a named super hero a lot like RDJ reforming his career. 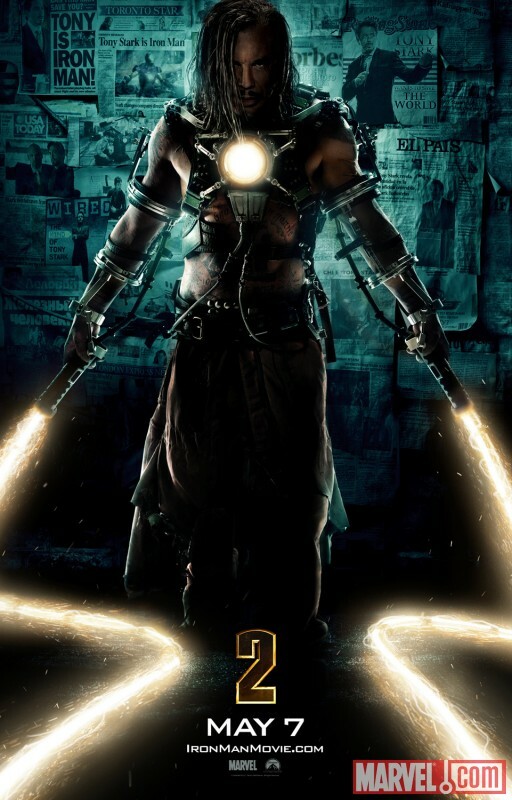 The official images Marvel released of the new film show Robert Downey Jr playing the man of iron around his lab, Scarlett Johansson as the Black Widow and Mickey Rourke as Whiplash. 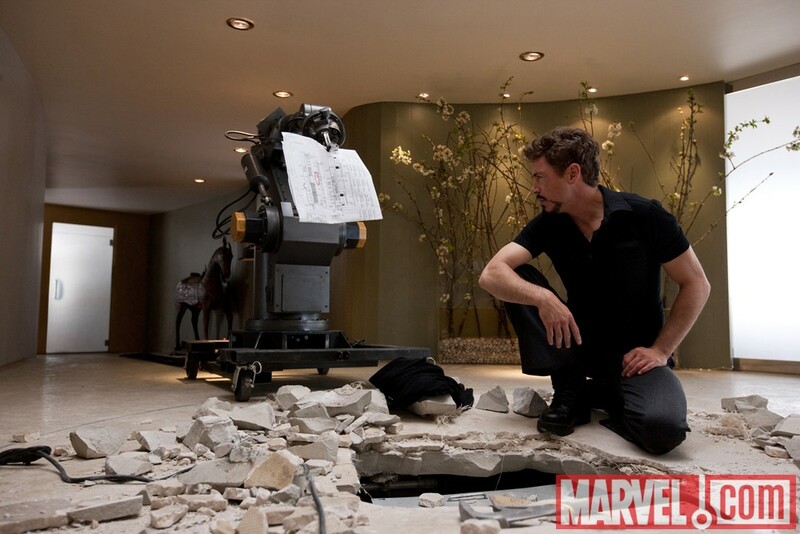 Although we have seen a lot of on set photos, concept art and a five minute trailer there still seems a lot of the story we don’t know too much about. With reports of a third film to be made after the Avengers in 2011 there could still be a lot more news to come in recent weeks.